Icy sidewalks and slippery walkways. Winter is the season most people fall. Interior Health Quality Consultant, Falls and Injury Prevention, Kelly Wilson, says falls don’t discriminate. “It’s a really serious problem because people get hurt and they come into our emergency department,” Wilson said. Wilson says the consequences of falls differ markedly across age groups. She says at 25, you may only injure your dignity; at 45, you may break your wrist; and above 65, you may suffer a serious fracture or head injury. Shovel your driveway, walks, and stairs. 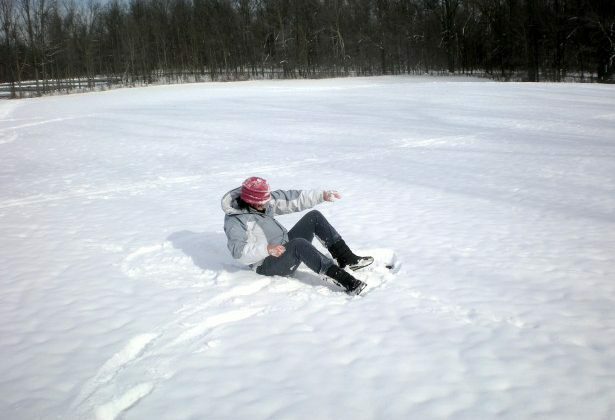 Wear a helmet when partaking in winter activities such as skating, skiing, snowboarding, and snowmobiling. Be mindful of where you put your feet and tune in to your surroundings when you are walking. Tell your doctor, nurse practitioner, or pharmacist right away if you think your medications are making you unsteady.